Looking for Best ERP solution for your education institution (Schools, Colleges, and Universities) in reasonable Budget? 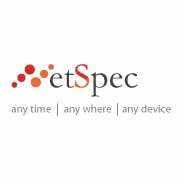 NetSpec Global specializes in Educational Enterprise Technology and Digital Solutions for education domain. NetSpec has the skill, the strategy and the solutions that are channelized towards making digital solutions accessible 'anytime, anywhere, any device'. NetSpec Global provides a dedicated 24x7 secure access to admin, parents, principal, teachers, students and alumni. We implemented ERP solutions in more than 1000 schools all over India and Malaysia.